La Laguna Dive is a 5 Star PADI Dive Center (S-2857) and PADI TecRec Centre located in Philippines offering all the PADI TecRec training programs up to Trimix 65. La Laguna will also offer the PADI Closed Circuit Rebreather training when the programs are released later this year. 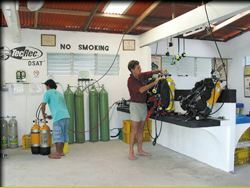 All technical dive equipment can be rented from their fully equipped gas blending station that includes a gas booster pump so tech students and divers get the best mixes required for their diving. Also as La Laguna Dive offer the PADI Gas Blender course students get hands on experience with modern gas blending equipment that has been designed to be user friendly and very efficient. only a short boat ride from the facility. These sites suit all levels of training and are perfect for certified tech divers to gain experience. 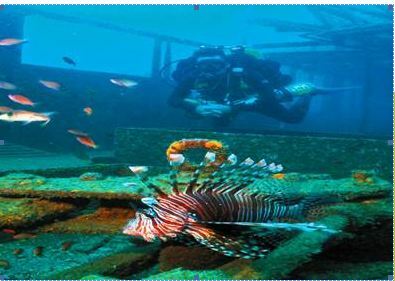 The sites vary from vertical walls to deep reefs with good visibility and tropical warm waters. So La Laguna Dive feel if you’re a diver that wants to seek more diving adventures at a technical level then the PADI TecRec programs are the way to go. If you are not sure that diving twin tanks is for you, then La Laguna Dive invite you to try the Discover Tech Experience and are sure you will be hooked. Next PostNext New Technical Consultant Appointed in USA.